THIS WEBSITE IS DEDICATED TO ALL THE SAILORS THAT SERVED ON THE USS W S SIMS DE/FF 1059 DURING HER THIRTY YEARS OF SERVICE TO OUR GREAT NATION. ENJOY THE WALK DOWN MEMORY LANE. – William Sims was born on 15 October 1858. He lived in Port Hope, Ontario, Canada until his family moved to Pennsylvania when he was fourteen years old. – Upon graduation from the U.S. Naval Academy in 1880, Sims served at sea almost incessantly until 1897. For the next three years, Sims received the unique opportunity to serve as an envoy in St. Petersburg and Paris. Here, he was able to compare U.S. naval forces with other foreign navies. – During World War I, Sims reached the rank of vice admiral. Following the war, he returned to his previous position as president of the Naval War College. – Sims retired in 1922 after forty-six years of naval service (including his time at the Naval Academy). 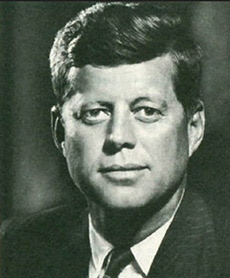 He died fourteen years later in Boston, Massachusetts. – William Sims is best known for his expertise in the design of ships. In utter disregard for official procedure, Sims, a young commander at the time, wrote a stunningly critical letter to the President of the United States concerning the inferiority of American ships during the Spanish War (Pratt, 194). In response, he was appointed inspector of naval target practice, and helped spur tremendous improvement in naval gunnery (www.britannica.com). – His crusade against German U-Boats eventually resulted in the convoy system, which was established during World War I. Promoted to rear admiral at this time, Sims was sent to coordinate matters between England and the United States. Once in England, Sims found the rate of sinking to be underestimated three to four times the actual rate. As a result, Sims helped initiate the convoy system which proved to be very successful (Pratt, 199-200). 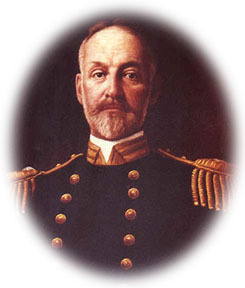 – Sims played an integral part in the mobilization of the Navy during World War I. His convoy plan called for dozens of U.S. destroyers to lead ships across U-Boat infested waters. As a result, Secretary Daniels approved a plan that would result in the commissioning of 406 submarine chasers of all classes and bring the destroyer count to 273 (Hagan, 255). – William Sims holds a valuable place in naval history. Had he not intervened and solved America’s naval gunnery ineffectiveness, the U.S. might have been faced with defeat had they encountered a more superior opponent than the Spanish. In addition, he also greatly contributed to the effort against German U-Boats. As a result, William Sims deserves to be considered as an influential figure in American Naval history.